DAVID LE/Staff photo. 4/29/15. 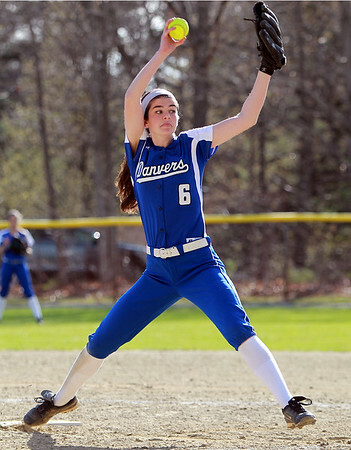 Danvers junior captain Madison Mucci winds up and fires a pitch against Peabody on Wednesday afternoon. Mucci pitched a shutout and also drove in the game's lone run, as the Falcons defeated the Tanners 1-0.